We know every baby and family are different and this Package allows you to find that perfect All-in-One diaper at 5-10% off retail price. Are you struggling to choose your cloth diapers? Are you curious about the different options available, or just looking to experiment? 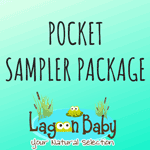 Then the Lagoon Baby All-in-One Sampler Package is the PERFECT cloth diaper package for you! 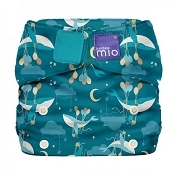 Choose anywhere from 4-10 of our all-in-one diapers to create your customized package... and save 5-10% off of each diaper! 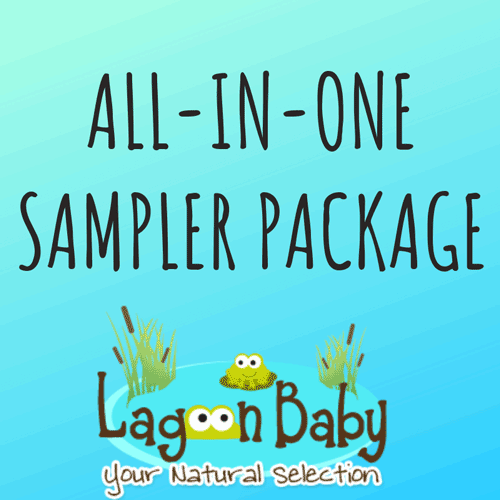 Your Lagoon Baby All-in-One Sampler package will be carefully selected to send you the cutest surprise you've seen since you met your baby for the first time. 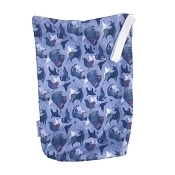 As always, each diaper in our sampler is of the best quality and materials. Maybe you'll like natural fibers. Maybe you'll prefer stay dry. Find out what you love best by trying them all! 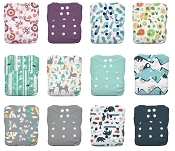 Select a minimum of 4 of the diaper choices to your create your personalized Package and select "No ____" from the dropdown menus to the diapers you would not like to receive..
1 Lagoon Baby All-in-One Sampler Package per customer. If you have specific colour choices please note them in Comments during Checkout and we will do our best to accommodate, although we are unable to guarantee. I'm so glad for the opportunity to try a few different brands of cloth diapers. It let me know which ones I like and which ones I didn't. 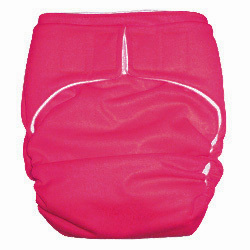 You wont know that till you try, and might be surprised at what cloth diaper will work for you and your family. The surprise print/solid option makes for a great fluffy mail day. Q: I'm unable to add this item into my cart... (Add to Cart Error). I have refreshed the page, tried different choice options, reread the instructions and reviewed my selected items. How can I add this into my cart? A: Please ensure a selection has been made for each diaper. 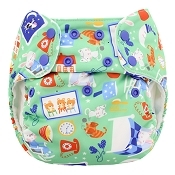 If you do not want a particular diaper, change the dropdown to "No Sweet Pea", for example. If you are still having issues, please email at natalie@lagoonbaby.com and we can troubleshoot further.